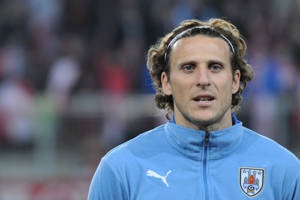 Reigning ISL champions Atlético de Kolkata may be set to secure another huge marquee signing, with Uruguayan international Diego Forlan linked to a move to the club for the upcoming ISL season. Forlan, 35, is currently based in Japan with J-League side Cerezo Osaka, having recently retired from national team football. As winner of the Golden Ball for best player at the 2010 World Cup, Forlan’s scoring prowess could soon be seen in the ISL if rumours are true. The co-ownership in Atlético de Kolkata by Forlans former club, La Liga champions Atletico de Madrid, will have fans remaining optimistic about the news. The Uruguayan forward is no stranger to Indian football, having visited Kolkata in 2010 as part of a football talent hunt with players from underprivileged backgrounds.